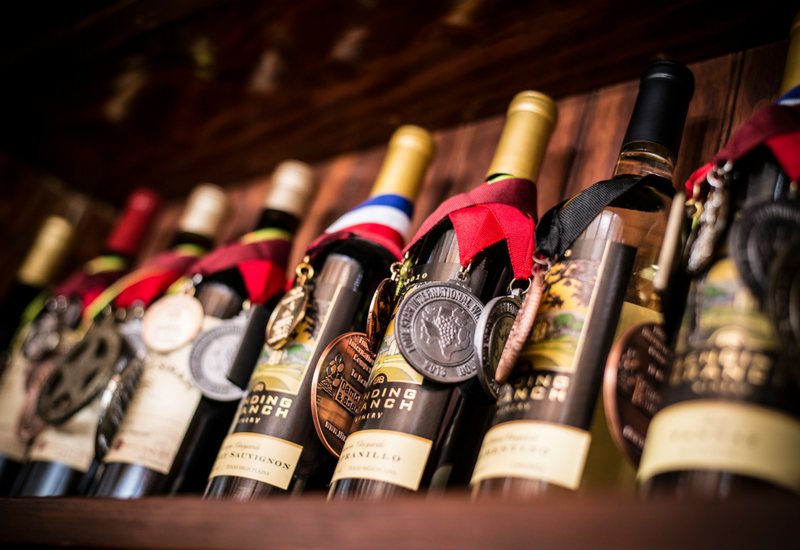 CENTRAL TEXAS, January 25, 2016 – The wineries of Texas Fine Wine continue to shine at international wine competitions, bringing home gold medals, while also making Texas Monthly’s Best Texas Wines of 2015.Texas Fine Wine is a group of five distinctive wineries dedicated to making quality wines from Texas appellation vineyards and setting the highest standards in the Texas wine industry. Texas Fine Wine includes Bending Branch Winery, Brennan Vineyards, Duchman Family Winery, Pedernales Cellars and Spicewood Vineyards. Pedernales Cellars won Top Texas Wine for its 2014 Texas Viognier at the 2016 Houston Livestock Show and Rodeo Wine Competition and will receive the coveted award saddle at Rodeo Uncorked! on February 21 at the Houston Rodeo Uncorked! Roundup & Best Bites Competition. This is the second award saddle won by the winery; Pedernales won Top Texas Wine also in 2013 for its 2012 vintage of the Texas Viognier. Bending Branch Winery won a saddle in 2014 for its 2011 Estate Tannat CM and Brennan Vineyards in 2008 for its 2005 Viognier. Texas Fine Wine was also well represented in the Best Texas Wines of 2015 by Texas Monthly – including 4.0 Cellars by Brennan Vineyards 2013 Mourvèdre, Brennan Vineyards 2013 Tempranillo Reserve, Duchman Family Winery Grape Grower’s Blend, Duchman Family Winery 2012 Montepulciano Oswald Vineyard, and Spicewood Vineyards Mourvèdre Rosé. Here are recent awards received by the Texas Fine Wine wineries since the 2015 TEXSOM International Wine Competition.